It’s the season of the fall massive goody bags for UK. Right now at SpaceNK.com/UK, you can get a free 33-Pc Space NK Goody Bag with any £175 purchase. The Space NK UK goody bag normally ships worldwide including to the US. Here are the details of the September 2018 Space NK UK Gift with Purchase. Space NK UK – This September Space NK UK teamed up with contemporary womenswear brand RIXO London to bring you an exclusive Space NK collection filled with a 33-piece gift worth over £400! From Sept 5 – 7 or while supplies last. Promo code required. *** Barneys Love Yourself Gift Bags 2018 starts tonight at Barneys New York – no code needed! There are two bag options: women’s bag or men‘s bag(revealed in my post here and here). The biggest Space NK UK Autumn beauty event is available now. The Space NK goody bag can sell out online in less than 1 hour. You NEED to be an N.Dulge member to get access to the gift, register free here. What do you think? Is it as good as last year? Space NK UK – New gift with purchase offers here. Pick 3 free samples with any order. Make sure you enroll to a free membership program NDulge. Sign up for free here. Receive a free Diptyque Baies Candle (70g) on any £100 Diptyque purchase no code needed. Space NK Beauty Box Clean Decoded By Space NK X Caroline Hirons £95. Due to popular demand purchasing is restricted to a maximum of two bags per order. New gift with purchase offers here. Pick 3 free samples with any order. Make sure you enroll to a free membership program NDulge. Sign up for free here. FYI – Your Space NK N.Dulge points DO expire, don’t forget to use your points at checkout! In the world of luxury beauty, there is no one in the USA that provides higher gift bag value compared to Space NK USA. This Space NK Beauty Edit Event only runs twice a year and this event provides a mega free gift bag that I can hardly fit in the photo frame. From 5th September, N.dulge customers will have a one day early access opportunity to shop Space NK US and qualify for the beauty bag GWP. N.dulge customer who spend $285 or more will receive the 30-piece GWP filled with best-selling brands such as Sunday Riley, Hourglass, Diptyque, Chantecaille, Verso and more. Enter code: FALL18 on the shopping bag page. Liberty London will have their mega gift bag coming on 9/6/2018 – follow IcanGWP.com to get the launch notification. Get a free Liberty London gift bag worth over £350 with any £150 beauty purchase! Cult Beauty – Cult Beauty Goody Bag 2018 is available NOW contains 18 piece and including 4 full-size items! With any £150 purchase get a free September or Autumn Cult Beauty Goody Bag 2018 worth over £240 (promo code required)! Non-EU shoppers can spend around £125 or $160-ish to get the goody bag! 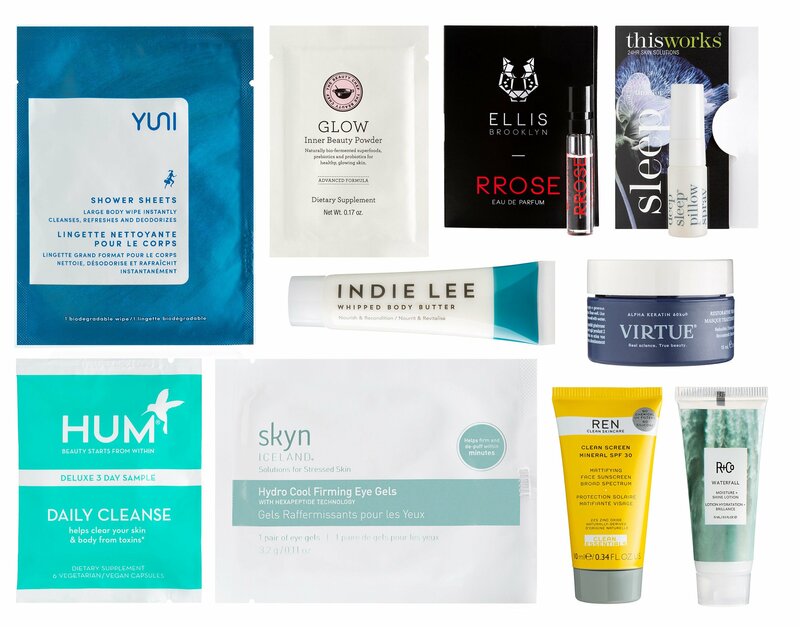 Here’s the links, value breakdown and quick summary of what’s in the Cult Beauty Goody Bag 2018 in this post: Cult Beauty Goody Bag Event: Cult Beauty UK. Harvey Nichols UK will have their fall Harvey Nichols goody bag coming up as well! Normally end of September to mid November. Check out NEXT and UPCOMING spoilers of beauty events and beauty gift with purchase at my main next and current gift with purchase page. I was just updated it. There are new Estee Lauder, Clinique, Lancome gift with purchase spoilers and much more! Here’s the list of SUPER Beauty events at major beauty retailers! Don’t want to miss the next beauty event? Follow me and you’ll get to plan your next beauty purchase with me! Yeah! You’re so welcome! I hope you’ll enjoy the Sunday Riley, hourglass and chantecaille goodies! It’s a really good bag.